Everywhere you look lately you’ll find magic. Television, movies, books, music, clothes; it’s all about the witch. The last time we saw something similar was the 90’s with movies like The Craft (1996), Practical Magic (1998), and Hocus Pocus (1993). There was no lack of witches on television either with Sabrina The Teenage Witch (1996), Charmed (1998), and Buffy The Vampire Slayer (1997). Personally, I like to think it all started back with Teen Witch (1989) and The Witches (1990). There was a witch and a type of magic for everyone and every age. Once we reached the early 2000’s though it started to fade. That doesn’t seem to be the case anymore. To say that it ever truly went away in pop culture would be a mistake. There always seemed to be some form of entertainment that hinted at it or used magic as a minor plot line. Today, however, magic is running rampant through the entertainment industry. The tipping point for the current popularity of witches and warlocks was probably due to American Horror Story: Coven back in 2013. Since then we’ve seen an upswing not only in the world of entertainment but in fashion and lifestyle as well. Not to mention, it also introduced a new generation to Stevie Nicks. There’s also been an upswing in alternative lifestyles, religions, and philosophies that started around the same time. With these both the bohemian and goth subcultures have had a new light shown on them. 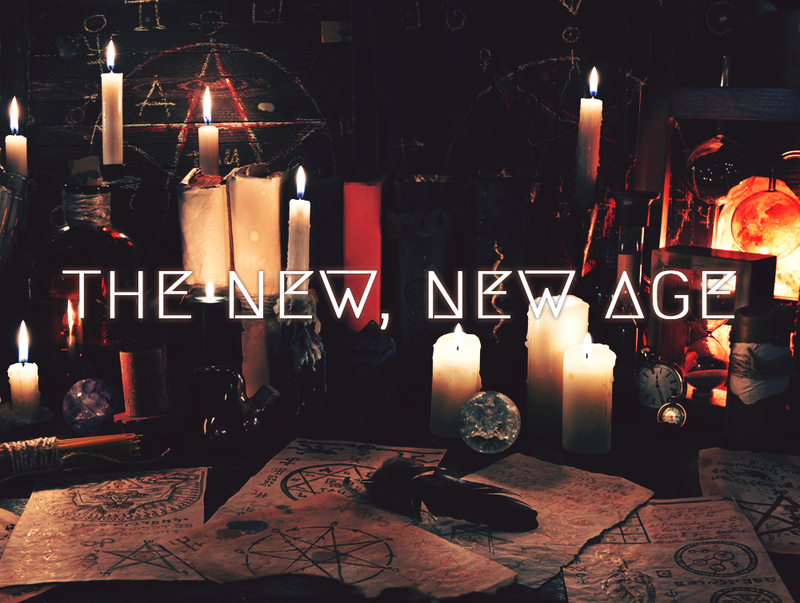 In the middle we have the new New Age which has been branded by some as mysticore. From endless Etsy shops to subscription boxes; learning about witchcraft, mysticism, and magick is easier than ever. We’ll talk more about those in an upcoming part two article. Below is a breakdown of some of the more recent magic found in the world of television, movies, and books. Make sure to check out our Witch Series playlist available on 8tracks and Spotify! It all started here. With hit supernatural shows like True Blood and The Vampire Diaries weaving witchcraft into the storytelling it was only a matter of time before the trends shifted from vampire to magic. Don’t get me wrong, the vampire themes are still around (and probably making a strong comeback in a couple of years); however they’ve taken a backseat to let other sub-genres have a turn. With all the shows, there’s a witch for everyone. We have good witches, bad witches, hereditary witches, and immortal witches. Here’s a list of current and recently departed shows that had witches at the center. As with the television shows, there’s a wide variety of magic in today’s movies. Here’s a short list of a few recent and upcoming magical movies. Be on the lookout for ever more to be hitting the silver screen in the future as there are quite a few in development. Did magic ever really die down in the world of books? No, not really. That’s part of the charm of the of books. You can almost always find a new one in tThere are tons of books dealing with witchcraft, many of them the inspiration for numerous titles above. Many more are also in development as shows or movies as well. Did we miss one of your favorites? Leave a comment and let us know! We’d also love to hear what some of your favorite magical musical influences are.